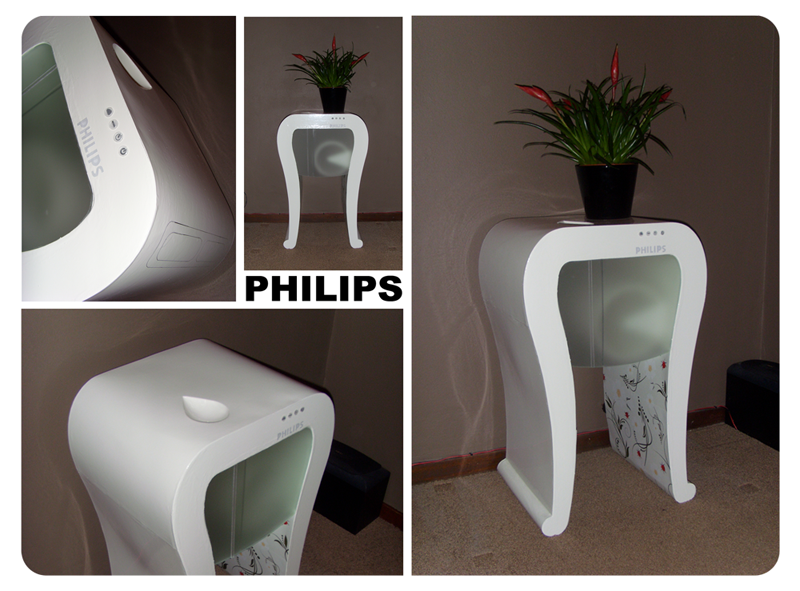 A redesign of the Philips humidifier is featured here, created at Philips Design in Drachten as part of a design and emotion study. The design aims to consolidate brand loyalty by fully utilising Philips’ brand values. The brand values of Philips are perfectly in line with women’s demands in a product. Compared to men, women tend to focus more on strategic long term benefits, so the design aims to appeal to this aspect. For instance: humidifiers are usually placed in a position where the product is not visible, such as behind a couch or on a cupboard, however, such a position is detrimental to the product’s efficiency. 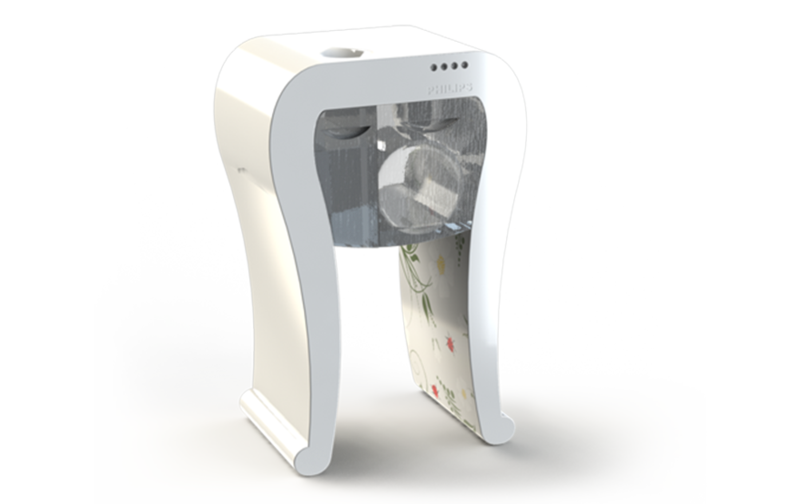 By incorporating the humidifier in a common piece of furniture, by default the user will be inclined to place the product in a location where the humidifier will function in an optimal manner – sense and simplicity. The humidifier can be easily refilled with a watering can by watering the drop shaped indentation on top of the table: it is just like watering a plant. 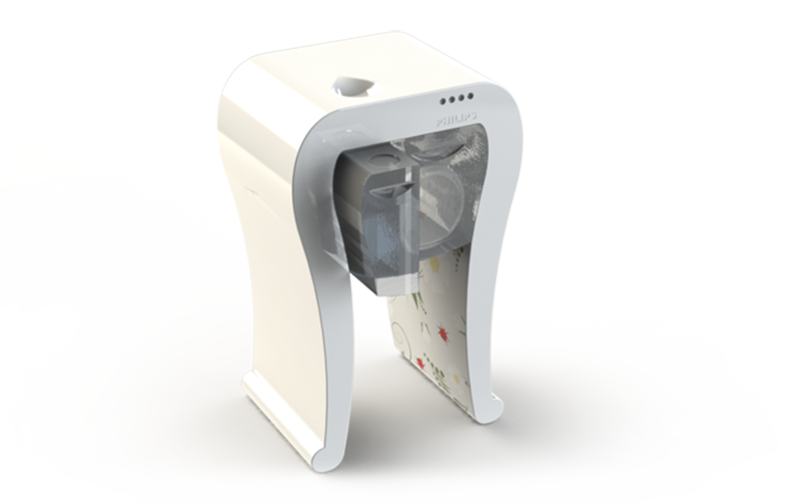 For a complete overview of the research done and all features of the humidifier redesign, download the paper detailing the entire process here.